Powder coating is needed for metals and gives them extra safety shield; this process of coating is performed through Powder Coating Oven. Their design, specifications and functions are a bit different than the regular options, and their choice varies customer to customer. Meta Therm Furnace Pvt. 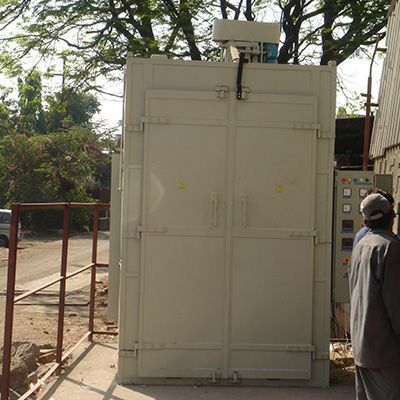 Ltd, being one of the steadfast Powder Coating Oven Manufacturers in Mumbai, has these ovens designed as per the industry compliance to suit your different needs. Rugged Construction: Offered Industrial Powder Coating Oven has a strong body and has the ability to withstand scratches, chipping and other challenging conditions. Save Money: Using such ovens boost up productivity and half the load, also require less upkeep, which makes them a suitable and cost-efficient option to invest on. Ease The Process: The process of powder coating is quite tough but can be done easily with the help of such chambers. We are one of the painstaking Industrial Ovens Suppliers and Exporters based in India. You can place your enquiry or order, directly from the website. Our executives would be happy to assist you. So, don’t delay and send us your enquiry today.